MAC Whirl has been around the block a couple times, well, more than a couple times. 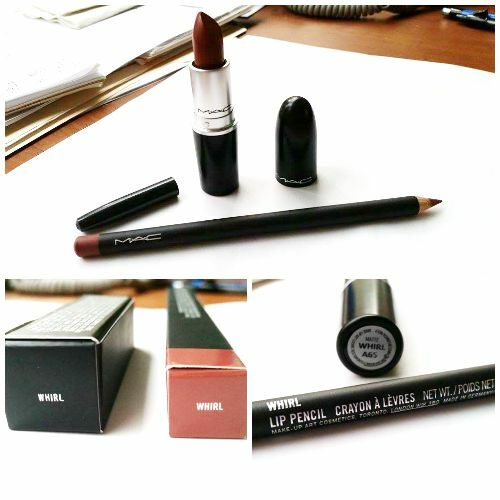 But for me this is my first MAC purchase because I've just heard so many good things about it and I just had to try it for myself. First things first, the color is gorgeous. It's the perfect pinkish-brown color for me, and I can definitely see it being a staple this season. 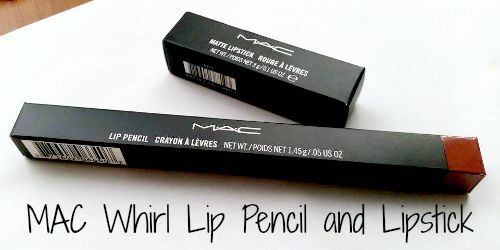 Whirl is one of those shades that looks different on everyone and I definitely overdid it the first time I used the lip pencil. THe next time though I used a lighter hand and filled it with its matching lipstick. I ended up topping this off with a gloss I had on hand (some neutral NYX one) and I absolutely loved how it came out. I'm going to have to try an ombre effect with this lipstick because it is BOMB. Which is expected. Are you a longtime lover of Whirl? damn it, now i need it. it's so pretty.